On this day tour, we hike deep into glacier valley carved out by one of Vatnajökull outlet glaciers Heinabergsjökull. 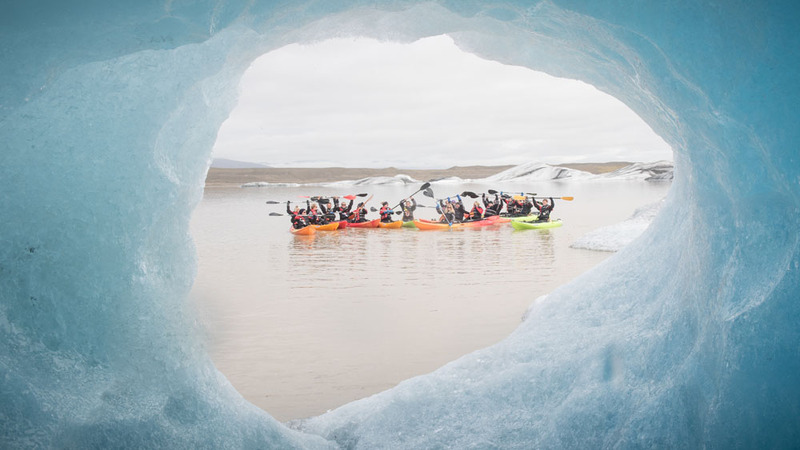 An experienced glacier and kayak guide will safely lead you hiking on one of Iceland's most unique glacier tongues. What to bring: Good outdoor clothing for that given day (waterproof in case of rain), hiking boots, sunglasses and sun protection, headwear and gloves, food and drinks. 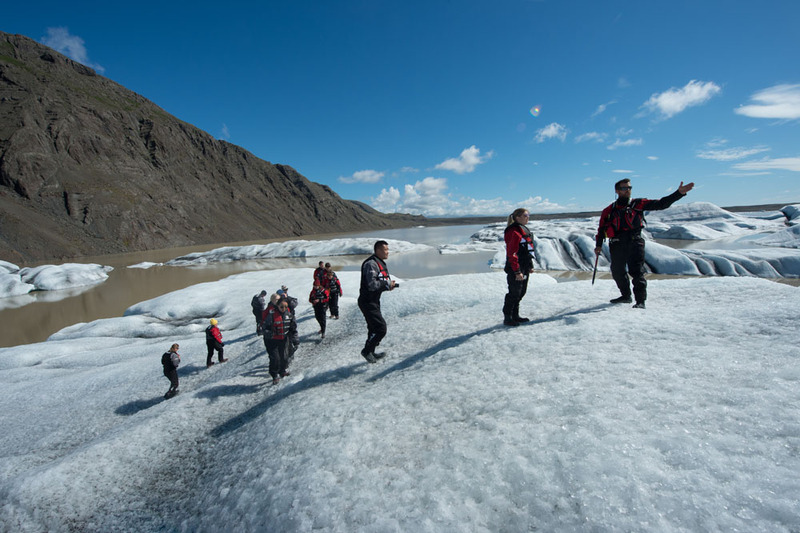 On this day tour, we hike deep into glacier valley carved out by one of Vatnajökull outlet glaciers Heinabergsjökull. 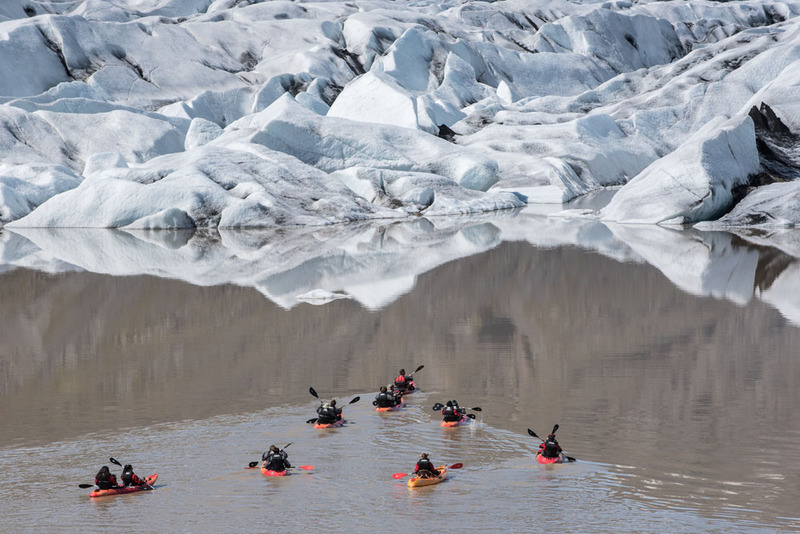 An experienced glacier and kayak guide will safely lead you hiking on one of Iceland’s most unique glacier tongues. 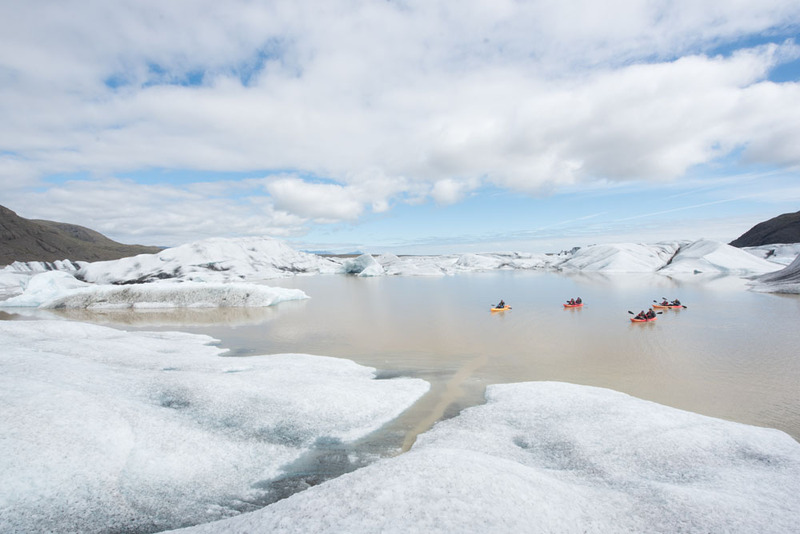 Heinabergsjökull has an exceptional approach and the only way to set foot on the glacier is by boat. 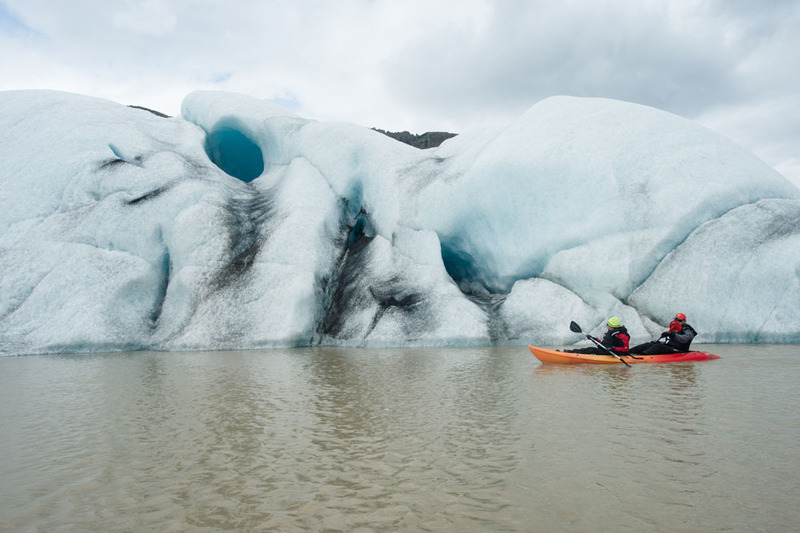 Equipped with all the necessary kayak and glacier gear we head out, paddling through icebergs on Heinabergslón, the glacier lagoon in front of the glacier tongue. 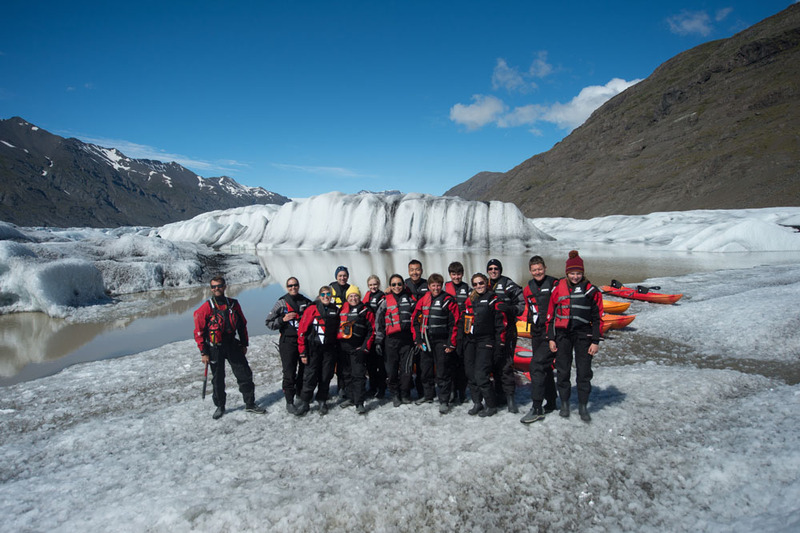 We safely leave the boats on the glacier edge and prepare for the glacier hike. 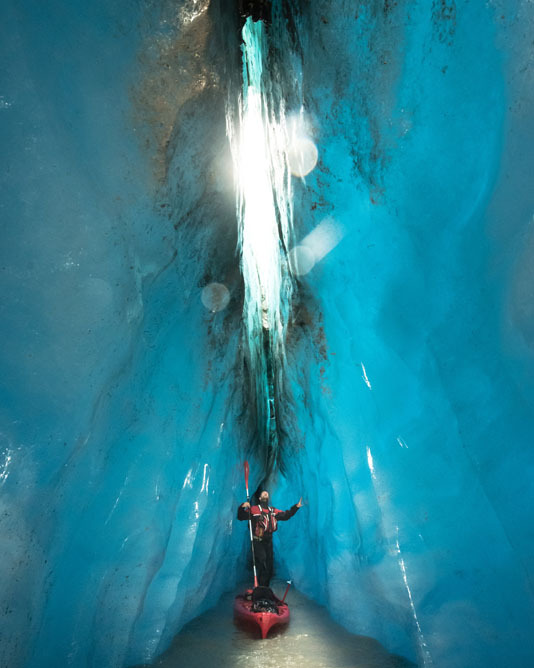 Experience Vatnajökull, Europes largest glacier in the most unique way there is. Out of the beaten path, surrounded by mountains and wilderness of Iceland at its best. This is the tour for those who want to enjoy the pure nature of Iceland without leaving any footprints in the environment.